 ONRAD's Joint Commission Accreditation is Renewed - ONRAD, Inc.
Riverside, CA – September 30, 2009 – Brian Phelan, President and Chief Operating Officer of ONRAD, Inc. is pleased to announce that ONRAD’s accreditation with The Joint Commission has been renewed. Following the standard unannounced survey, ONRAD was found to be in “full compliance with all applicable standards.” ONRAD was first accredited in November of 2006. “We take great pride in being accredited by The Joint Commission, as their finding that ONRAD is in ‘full compliance with all of their applicable standards’ strongly reflects the commitment to quality and patient care that our customers have come to expect from us,” explains Phelan. ONRAD’s accreditation status is available on the Quality Check portion of The Joint Commission web site under Online Radiology Medical Group, Inc., organization ID 407680. ONRAD is a full-service radiology group offering remote preliminary and final interpretations of CT, NM, MRI, Ultrasound, Nuclear Medicine, diagnostic X-ray, telemammography, echo-cardiograms, onsite staffing with a specialization in Critical Access Facility coverage, PACS ASP. ONRAD is JCAHO accredited and offers services throughout the U.S., 24 hours a day, 7 days a week, 365 days a year.